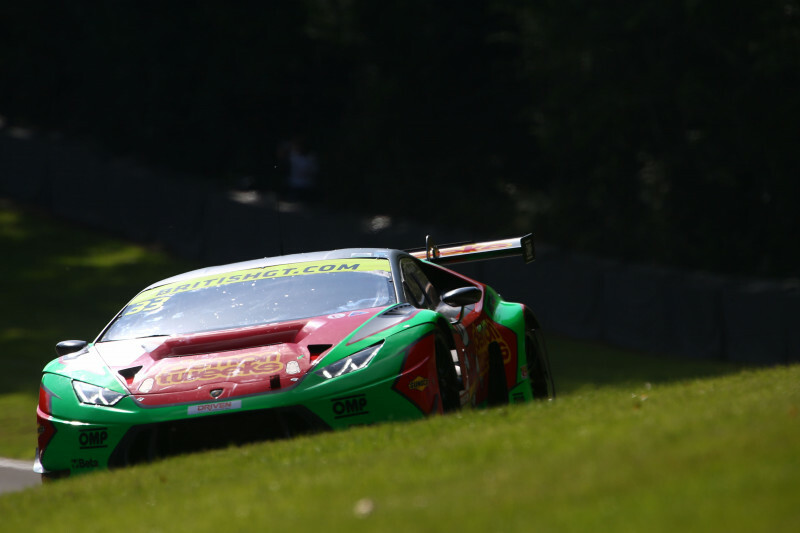 Jon Minshaw and Phil Keen, driving the #33 Barwell Motorsport Lamborghini Huracán GT3 took pole-position on a wet track at Brands Hatch for Round Nine of the 2017 British GT Championship. Starting alongside Minshaw and Keen will be the #24 Macmillan AMR Aston Martin Vantage GT3 driven by Jack Mitchell and James Littlejohn. 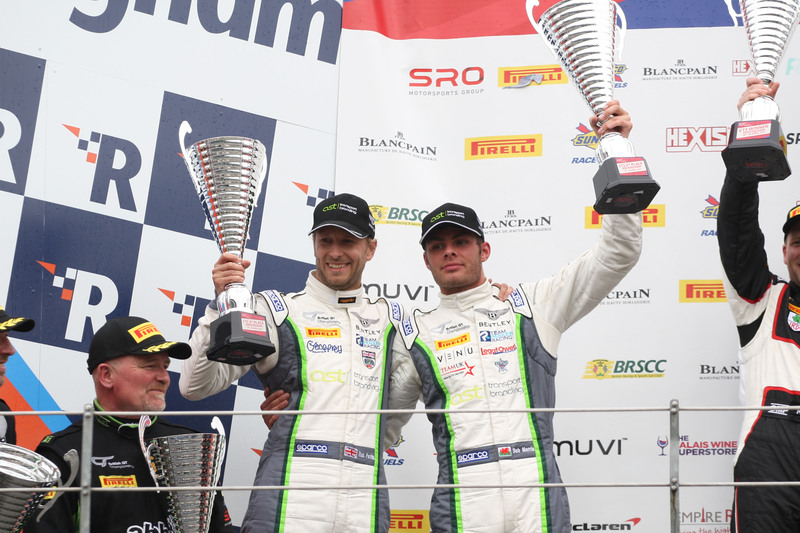 Third quickest in the GT3 category was the #11 TF Sport Aston Martin Vantage GT3 with the driver pairing of Jack Mitchell and James Littlejohn. Prior to the 55-minutes qualifying session, the Kent circuit had been drenched with a downpour, accompanied by a storm, that started at 14:00. As a result the track was wet as the lights went green for the start of GT3 Am 10-minute session. No further rain, however, meant that the track was getting progressively drier with lap-times falling as a result. Minshaw set the quickest time in the GT3 Am session with a 1:38.310 on his final lap of six. 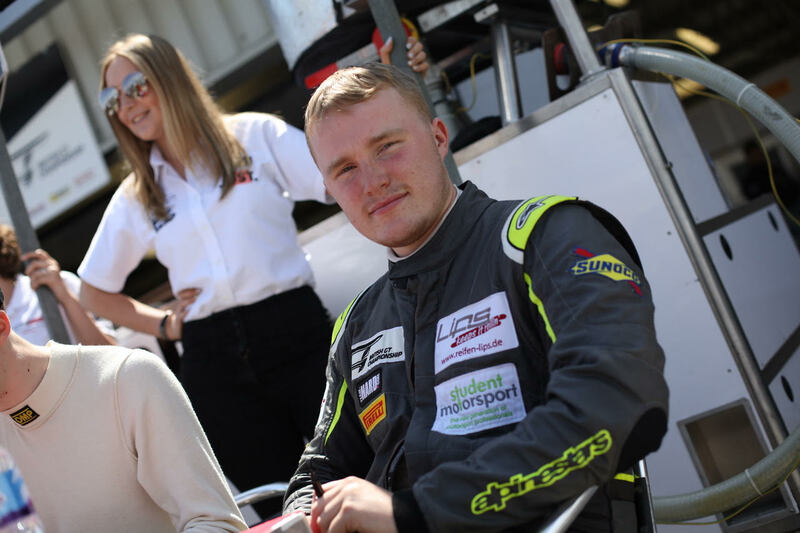 Second quickest was James Littlejohn in the #24 Macmillan Racing Aston Martin Vantage who set a 1:39.028 on his fifth lap of five. Barwell Motorsport had clearly found pace in the wet as Liam Griffin, driving the #6 Lamborghini, went third quickest with a 1:39.973. 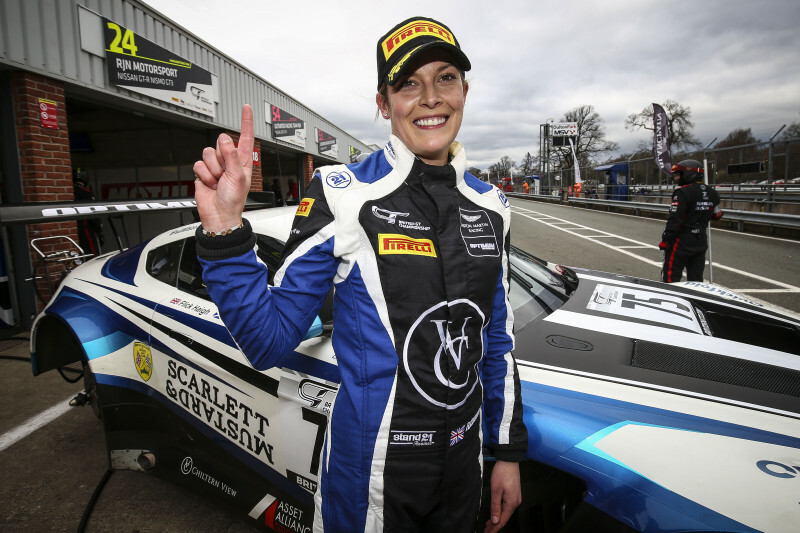 With conditions continuing to improve as the GT3 Pros took to the track, Phil Keen consolidated on his team-mates position by setting a 1:34.946 in the #33 Barwell Motorsport entry, sufficient to take pole-position by over 2.7 seconds, with a cumulative time of 3:13.256, from the #24 Macmillan entry, Littlejohn and Mitchell setting a cumulate time of 3:15.978. Jon Barnes, driving the #11 TF Sport Aston Martin Vantage GT3 set a 1:36.156, sufficient to secure third place on the grid, with a cumulative time set with Mark Farmer of 3:16.138. With conditions improving rapidly, the GT4 Am pole was set by the #62 Academy Motorsport Aston Martin Vantage GT4 driven by Will Moore and Matt Nicoll-Jones, Moore setting a 1:44.565 and Nicoll-Jones lapping in 1:36.208 as conditions encouraged most teams to switch to slicks. Nicoll-Jones and Moore’s cumulative time of 3:20.773 was sufficient to set the class pole just .132 seconds of Ciaran Haggerty and Sandy Mitchell in the #100 McLaren 570S GT4. Unfortunately it was announced just prior to qualifying that the #19 Century Motorsport Ginetta G55 GT3 of Tom Hibbert and Ben Tuck had been withdrawn from the meeting following damage sustained in FP1. The team had investigated brining a second car to the meeting but that was precluded by MSA regulation. After investigation by the team and Ginetta it was decided that the significant front-end damage sustained by the car could not be safely repaired at the circuit. The lights go out for the two-hour race at 14:10 on Sunday August 6.